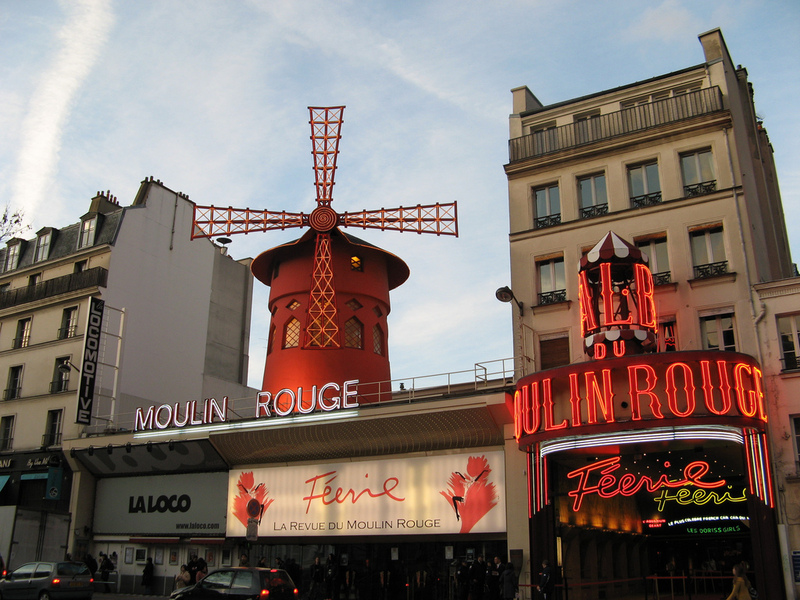 The success of the Moulin Rouge is owed in large part to its founders, Joseph Oller and Charles Zidler, who envisioned a way to create a unique performance venue while attracting patrons from multiple social levels. The building was designed to accommodate multiple changes to the interior over a short period of time which allowed for a continuous flow of entertainment. When renovations to the building were conducted, the innovative design of the interior was at the forefront of the architect’s minds. In 1962, a giant aquarium was installed leading to Moulin Rouge presenting the first ever aquatic ballet. Everyone from famous classical dancers to the Queen of jazz have graced the stage at the Moulin Rouge.The Moulin Rogue is still in operation today and maintains itself as a entertainment venue like no other. At over 125 years old, there is still life and energy in the walls. Performances run nightly and with a constant need for entertainers, maybe you too can one day grace the stage. During a visit to Paris, a Dark Follies troupe member was able to attend a show in the famous cabaret house. Below, they reflect on their experiences. When a boa constrictor slithers out of a tank three feet away to look you right in the eyes, the typical response usually isn’t laughter and childish delight. This is just one example of how a show at the Moulin Rouge is unlike anything else in the world. Not only is there a woman who swims in a tank with boa constrictors, there are ventriloquists, a roller-skating duo with death-defying stunts, miniature ponies, comedy skits, and of course, the spectacular sequin-adored dancers. While the Moulin Rouge is a high end entertainment venue these days, the more humble variety show style and often bawdy origins of the show and venue are not forgotten, which gives the shows at the Moulin Rouge the uniquely anachronistic entertainment value which we Dark Follies seek to embody in our performances.